This is the second feature that I collaborated with Edgar M. Bravo and John Paul Rice of No Restrictions. It was a fantastic experience and was my first film back after having my son. The film has played in art houses and festivals and is available to rent from the No Restrictions website. "MOTHER’S RED DRESS, like its title suggests, is bold and provocative. The script weaves a fabric of vibrant but shadowed colors and textures, and its steely subject matter accentuates with taut wire...A seasoned actress with a mass of film credits, her performance drives the role with the patina of masterful hammer and elegant grit. Laura is at once alluring and tragic, beckoning and offensive. Her expressions, determined and convicted, adrift and desperate, repel us in a way that her dresses allure. The audience ultimately must battle this sea of repulsion and attraction and the aftermath she creates, just like her son." The stand out performance comes from Alisha Seaton as Paul’s mum Laura (wearer of the titular red dress) whose appearances on screen are always punctuated with violent emotion." 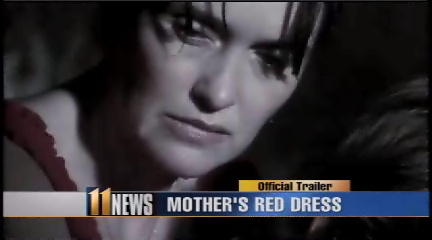 Mother's Red Dress - Official Trailer 1 [HD] from No Restrictions Entertainment on Vimeo.